HCM City (VNS/VNA) – Bao Hoai Nam, founder of Lavender Flower and Peony Home, will be the first and only Vietnamese artist joining the FTDWorldcup 2019, a top interfloral designer competition. Begun in 1829, the Interflora World Cup is the world’s most prestigious event for the floral industry and design competition that showcases the most talented floral designers from around the globe. The international floral design competition is held every four to six years and hosted in different locations. Florists’ Transworld Delivery (FTD) is hosting this premier competition for the first time in the US since 1985. 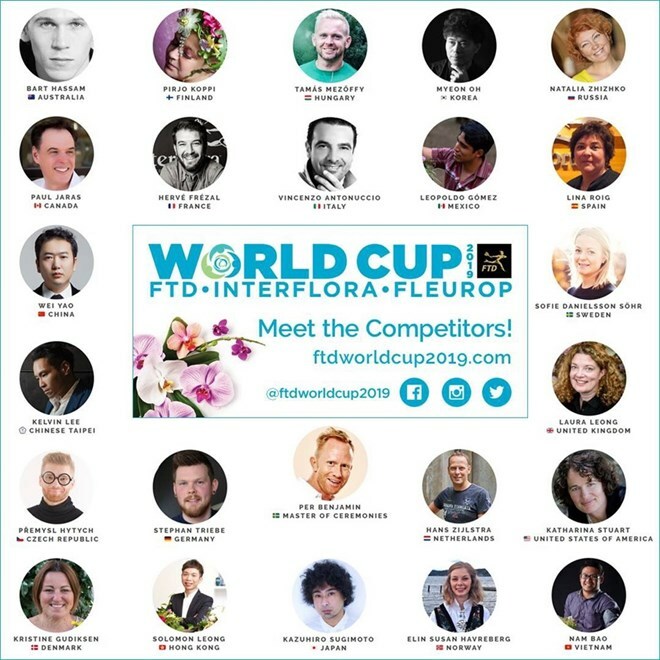 The competition, named FTD World Cup 2019 in recognition of the event’s host organisation, will include up to 23 countries and territories and is being held in Philadelphia at the PHS Philadelphia Flower Show in March. The winner will be named Interflora World Cup champion. Hoa said that, along with the fashion and movie industry, floral art has now “put its feet on the world”. She said she hopes the local artist taking part in the event will put Vietnam on the world’s art map. Hoai Nam, along with being founder of Lavender Flower and Peony Home, is also founder of Bonas&Keith. A florist manager at The Grand Ho Tram Strip, Nam has written many books and programmes about flowers. At the competition, a total of five design tasks have been held on the main show floor of the flower show. The flower show is open to the public starting on March 2 and includes a preliminary round with one prepared design task and one surprise package created by the competitors. A reception was held featuring a design demonstration by the American Institute of Floral Designers (AIFD) and the announcement of the 10 semi-finalists.